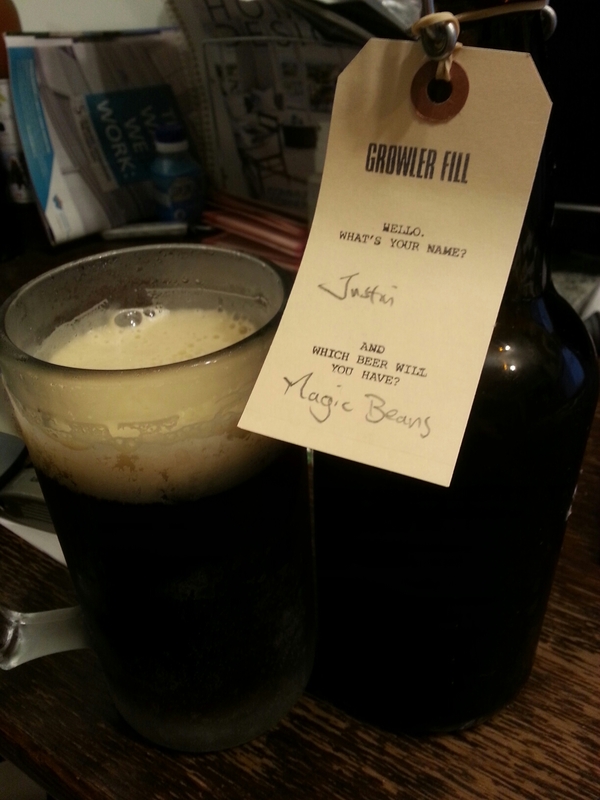 Magic Beans (Coffee Amber Ale) – Brassneck Brewery (Vancouver, BC, Canada) | Justintoxicated. “Seems that when most breweries make a coffee beer it’s Espresso Stout or Porter. Visual: (growler fill) Pours cloudy cola brown with a nice very cream lasting head, a nice 2mm layer of retention, sticky lacing, lots of steady streams. Finish: malt-caramel, coffee bean exhale, partially lacking -> flat finish. Summary: Excellent clean coffee bean entry and fruity light bitter-soft sweet mids lend this one to be an easily appreciated beer. It’s like a cold brew coffee with fizz and buzz.